For all the RoyalDice experts out there we have a special challenge today, January 6th: Become king of the Tournaments and win a very unique prize: an original poster by a true RoyalDice artist - Pascal. Partially created during the recent Winter Wonder Week 2018 Design Challenge. Only the top 3 of our Three Kings Tournament will win, so warm up your dice and roll for that High Score! The Tournament rounds will start at 4AM, 10AM, 4PM and 10PM ET. So there will be 12 winners total. Let us know if you have what it takes to beat the kings und join this fun challenge! Don't miss out on even more amazing Deals today! All day long you'll get 75% more Coins with every deposit and even with your Bingo Card Deals. Are you a VIP or SuperVIP? Then you’ll receive 75% Extra Coins on top of your respective VIP and SuperVIP advantages. Our GamePoint Slots and Casino players even get to enjoy Slot Coin bonuses as high as 300% extra. Start spinning for that BIG WIN! The GamePoint Autumn Festival is here! There's something strange in the neighborhood... There's something weird in GamePoint Bingo, but it looks good! It looks like a jack o' lantern got mixed in with the balls. If it rolls by in your games, then all participants will get a free Bingo card! And another trick, but it's more of a treat. If you're lucky, the balls in GamePoint Bingo will get haunted and will decide to keep rolling until there's an extra winner! So if you have one or two more balls to go, this is your chance to still win! Of course, all these features are in addition to the Bingo in the Dark rooms, limited-time collections and daubers. Which is your favorite? Make sure you get your FREE VIP! Everyone enjoying Oktoberfest at GamePoint? There's been plenty to come back to everyday, like the popular Happy Hours. Want to be VIP for FREE? It's easy and everyone can do it! Everyday you log in and start playing, you're automatically awarded a special Oktoberfest medal. If you gather 5 different Oktoberfest medals, then on Monday October 1st, you'll get 5 free days of VIP! Are you already a VIP or SuperVIP? Then you'll get 5 free days added to your existing membership! Have 5? Then wait until Monday October 1st to automatically get free VIP! Will you be a VIP on Monday October 1st? Enjoy Oktoberfest with these FREE Coins! Starting today, Monday September 24th and lasting a whole week, GamePoint is bringing you Happy Hour during Oktoberfest, TWICE a day! We're filling the pots extra fast for extra SuperBingos! You'll find that the jackpots in RoyalDice will always be filled up with at least 500 Coins! Today is also the first day for collecting a Oktoberfest medal for each day you log into your favorite game! If you collect 5 medals this week, you'll get FREE VIP on Monday, October 1st. Will you be joining us for Happy Hour this week? Being a VIP means you get to enjoy some of the best things on GamePoint, like 50% extra Coins in your 3-hourly gifts and in your deposits. But it doesn't stop there! As a VIP you can also access of VIP chat and you get to use a ton of extra fun smileys in the chat. And this Oktoberfest you can become a VIP for FREE! How? Starting on Monday, September 24th, collect a special Oktoberfest medal just by logging in each day. Every day means a new medal and the best part is, when you collect a total of 5 different medals, we'll make you a VIP! Looking forward to collecting medals starting on Monday? Will you be getting yourself some free VIP? 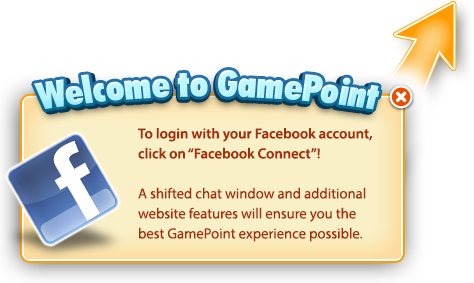 According to all sources, GamePoint's the place to go! Cause today for the first time, just a few minutes ago. For the first time in history it's gonna start raining Coins! It's raining Coins! Hallelujah, it's raining Coins! GamePoint never had a Sale this spectacular.